With this perfect-fit replacement gasket for your draft equipment, you’ll never have to experience the frustration of trying to “rig it” again. 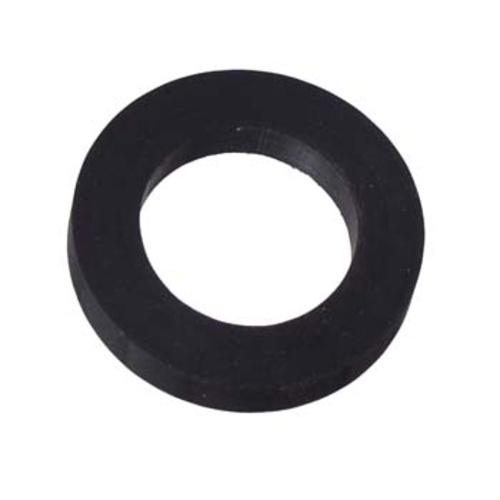 This molded rubber beer line gasket is used anywhere you are mounting a tailpiece. It is placed between the tailpiece and the beer taps and/or shank. Because mine started leaking when I replaced the beer line. Tap won't work without it. Oh dear! The beer line is leaking! I was performing my periodic beer line replacement when I noticed the tail piece to shank connection was dripping on one of taps. Oh my! What can I do!? I know, check with MoreBeer and see if the have new gaskets. They do! They do! Oh happy day when that new gasket fit perfectly and no dripping when connection was tightened. Not too tight or the new gasket may fail. Not too loose or the new gasket will not work. Just right and the beer flowed beautifully without creating a mess. Very reliable product. Won't need to order one for a long time. Perfect replacement on commercial draft tap. Cheap insurance to leaks.